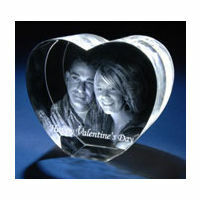 From Heart to Heart - Personalized Photo Crystal Products Personalized Heart Shaped Crystal key chain with internal 2D engraving A unique gift for your friends and loved ones. It can ideally be used as a wedding or anniversary gift also. 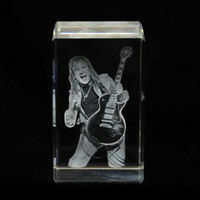 This key chain is made of high quality crystal. 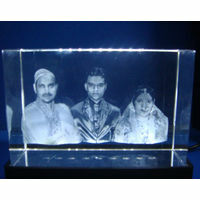 We will engrave your holographic image inside this crystal cube. 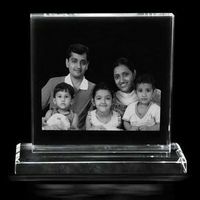 You can send us a soft copy or actual photograph. 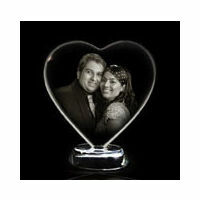 We’ll take out the image you want and put it inside this heart shaped crystal. 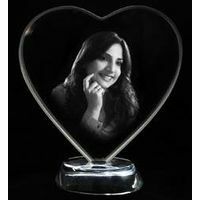 A single face can be engraved It is packed in a special gift box and than shipped. 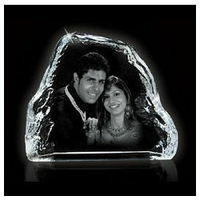 You can use this unique photo product for: Birthday gifts Wedding Anniversaries Valentines Day’s gift Friendship day Farewell Gifts Casual Gifting If you are sending a soft copy make sure it is a good resolution image (over 100kb) and we’ll engrave it inside the crystal cube and ship it to the address you want in a few days. 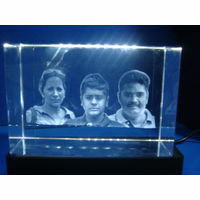 Size specifications : 35mm by 35mm Thickness 12mm*Images are indicative. Actual product may differ a bit.